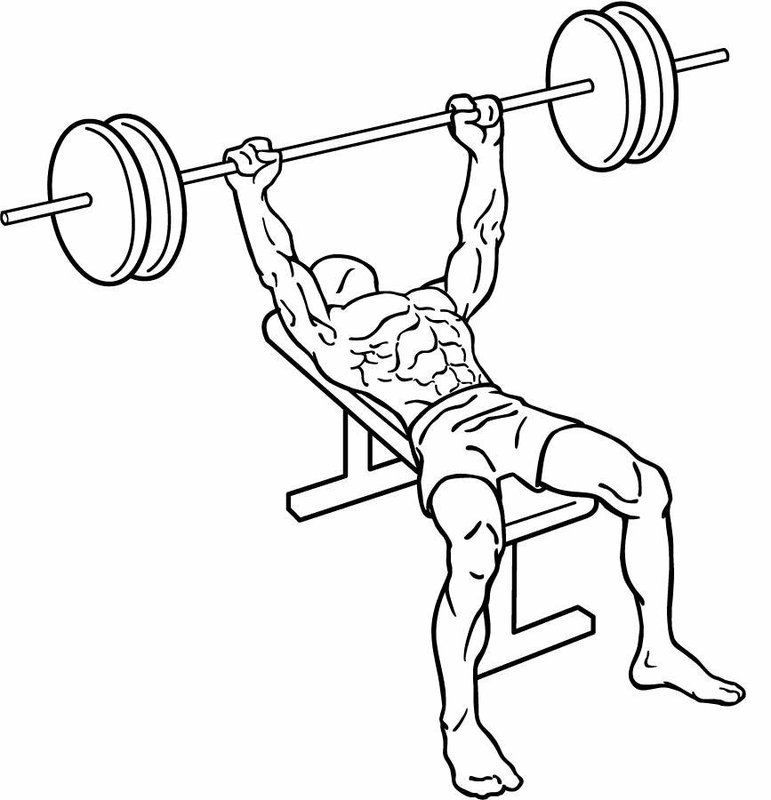 Lie on your back on a flat barbell bench. Keep your feet flat and secure on the floor. Grasp the barbell just a bit wider than shoulder length. Slowly bring the barbell to the middle of your chest. While in this position, your forearms should be perpendicular to the floor. Take a brief pause and then press the barbell to your starting position.